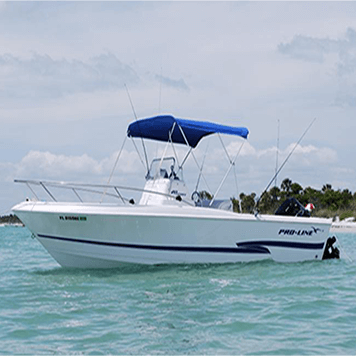 The BEST Fishing Charter Guide in Sanibel, Captiva, Fort Myers, Cape Coral, Pine Island and many SW Florida cities. Backwater and Offshore fishing at its best! The Fishing has been GREAT in Fort Myers, Sanibel and Cape Coral !!! Captain John has the local knowledge to go after and catch the BIG fish. Your fishing experience is important and Captain John works with all skill levels from beginner to expert. 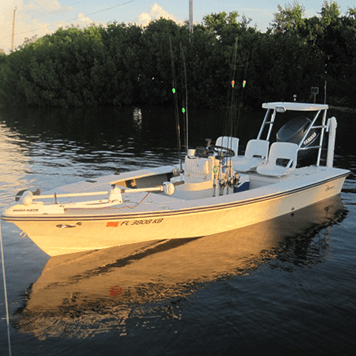 The Captain provides a friendly atmosphere to make your Florida Charter Fishing trip a happy one. Yes, you can bring your wife and kids or come alone. We have several boats to accommodate your needs. Your Southwest Florida experience will be a life long memory that you'll share with family and friends for decades to come. Don't wait ... "RESERVE your Chartered Fishing Trip NOW" before they fill up. Call to check if your date is available! 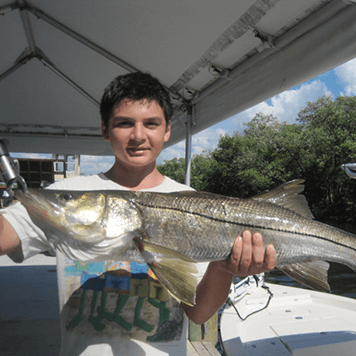 Captain John enjoys being part of South West Florida's nature and it shows. He's a local expert fisherman and certified scuba diver that understands the fish habitat. The Captain wants you to experience the excitement and joy of this beautiful area. Safety first is Captain John's promise, and he always carries a EPIRB/GPS locator and all required safety gear for his passengers. The Captain is licensed, insured and Coast Guard approved. Bring your partner, kids, or come alone. 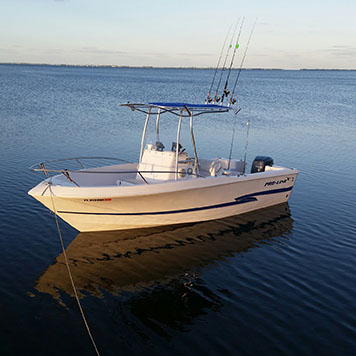 The Captain will provide a happy experience and will spend the time to show you some of the techniques used in catching your desired fish. What to Bring: Sunscreen (SPF-50), Polarized Sunglasses, Hat, Snacks, Sandwiches, Soda, Water, Beverages, Small Cooler, Camera, Non-Scuff Shoes (boat / deck / sneakers with light soles). Captain John knows where these GIANTS thrive. 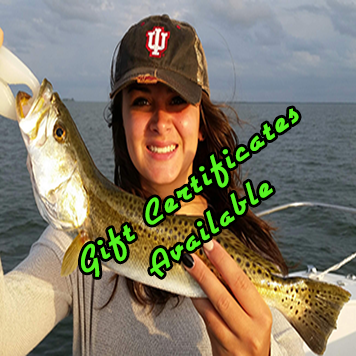 If you have a special fish (Snapper, Trout, Shark, Permit, Jacks, Flounder, Red & Black Drums) you'd like to go after, call and book "your spot now." Special rates may apply for these trips. The Captain is very open to special events and open for discussing your special charter. There may also be seasonal discounts .... just ask the Captain. 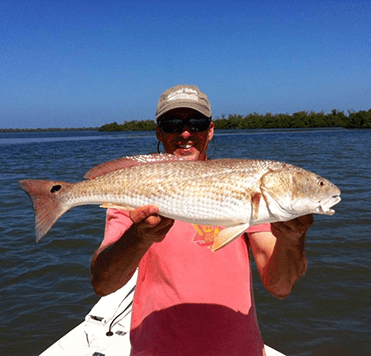 Come Florida Fishing | Website by: T-DWSM Cape Coral, FL © .